Sydney Shop Girl: Lovin' Life 28/3/2019: This Week's Top Five. Some joy in the sky in the midst of the days and days of rain we've had in Sydney. I saw this rainbow arching across the sky behind the old work carpark last Friday. 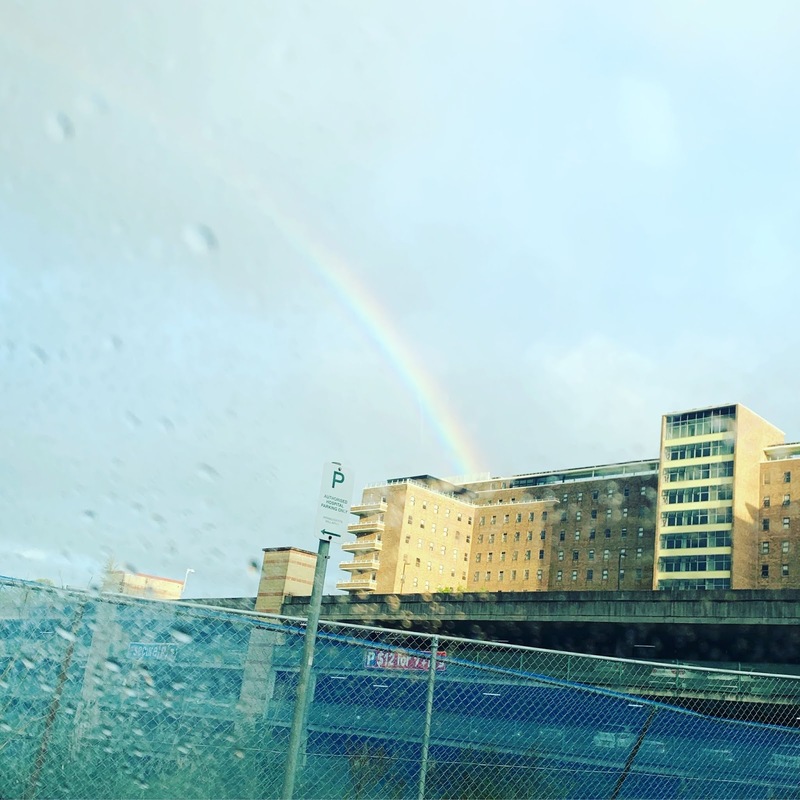 A fitting end to the week and a good omen for the weekend ahead. 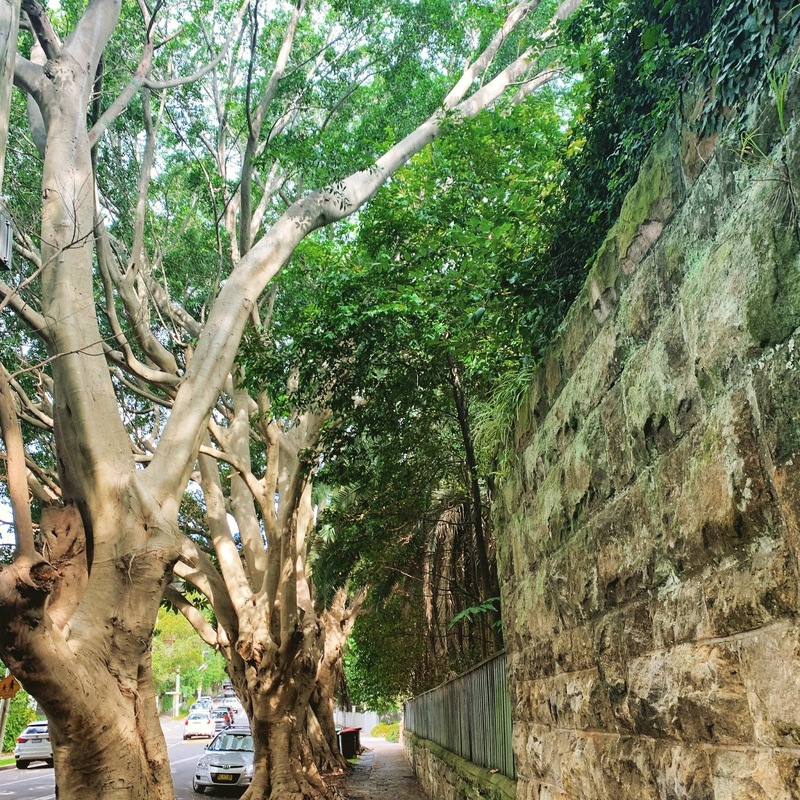 The cool and shade under these trees near Master SSG's school was greatly appreciated as I trekked from where I parked the car to the uniform shop and back. It was one of those days where the humidity was pleading with the clouds to just release that rain already. A gift to self from Mecca wrapped up like fish and chips. I did my bit for the environment by saying no the trademark Mecca dusky pink paper bag with the black handles. DIY flat packed electrical items are getting even more DIY by the year. 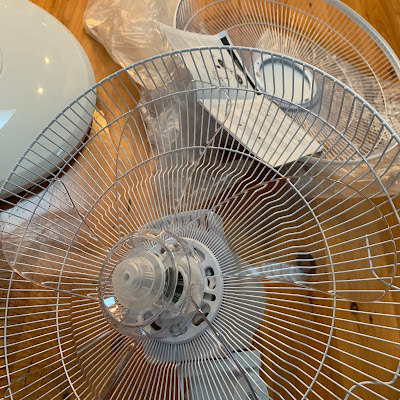 I had to assemble the actual fan section of my new standing floor fan from Target this week. That's right. Actually put the (plastic!!) blades into its cage, secure it then afix the top half of the cage. As well as the usual base and stand assembly. The fan wasn't that cheap either! For $109 I had hoped for a bit more pre-assembly. Oh well, fan assembly is now something I can now cross off my bucket list. Have you ever managed to send perfectly frosted cupcakes to school? 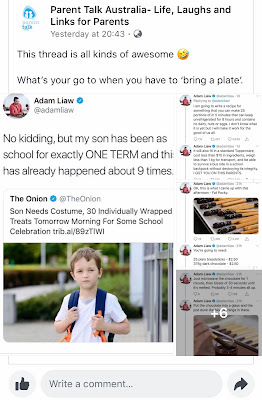 I love Adam's tweets - especially his ones about parenting. Although I also love his food...just saying. As an aside, for $109 I'd be wanting the blades to be already in my fan. I've seen those tweets in my FB feed - absolutely hilarious! I cannot believe you had to actually insert the blades into the fan cage thingy and all! I didn't know there was that option to say no to the pink packaging etc at Mecca. 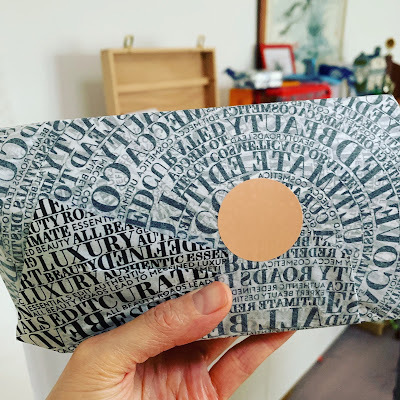 I've only ever ordered one thing from them - a mascara - and it arrived so beautifully boxed up. Presentation was awesome ... but I did feel it was a bit OTT for one little bitty mascara! Haha - I'd imagine I'd have worked up quite a sweat putting that fan together, which sort of defeats the purpose. I don't have kids at school anymore, but it does sound trying all the things that are banned. Forget cupcake perfection, just cheat, it's always about the chocolate! A thick layer of Betty Crocker frosting with sprinkles and everyone will love you.